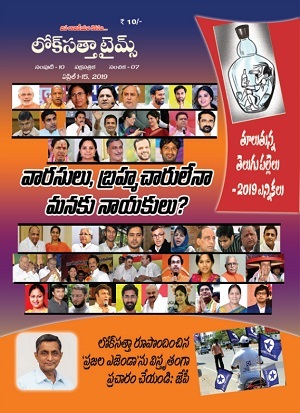 The Lok Satta Party today honored some writers, poets and freedom fighters of Telangana as part of celebrating September 17, the day Telangana became a part of the Indian Union, as National Unity Day. It presented bouquets and shawls to Mr. Chennamaneni Rajeswara Rao and Mrs. Suguna, both freedom fighters. 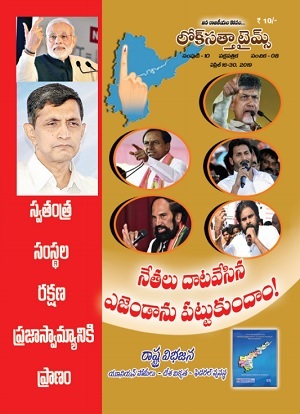 Mr. Suddala Ashok Tej and Mr. Nissar, both lyric writers, Mr. Solipeta Ramachandra Reddy, a fighter for local self-rule and Dr. Tirunagari, Telugu pundit and writer. Addressing the gathering, Lok Satta Party national President Dr. Jayaprakash Narayan recalled the services of people like Suravaram Prathap Reddy, Kaloji, Dasaradhi, Komaram Bheem, Chakali Ilamma, Maqdoom Mohiuddin and Mallu Swarajyam. They made personal sacrifices for the sake of lofty ideals.